There’s a side of me that not many people see. It’s the side of me that has battles with depression and anxiety. I have had trouble with anxiety and depression off and on since my teens, but it wasn’t until I suffered severe postpartum depression following the birth of my kids, that I realized I needed to do something about it. With the help of an awesome support system and medication, I’m in a much better place now, but the darkness and the anxiousness are always lurking in the background. I still have days when it’s hard to get motivated. Some days it’s incredibly difficult for me to make a decision. A day spent with a crowd of people is exhausting to me. There are times when I just want to hide under the covers and make the world go away. Those days are difficult. It’s on those days that I am most tempted to spend money, eat crappy take-out, and wallow in self-pity. And just how can you be frugal when you feel like that? 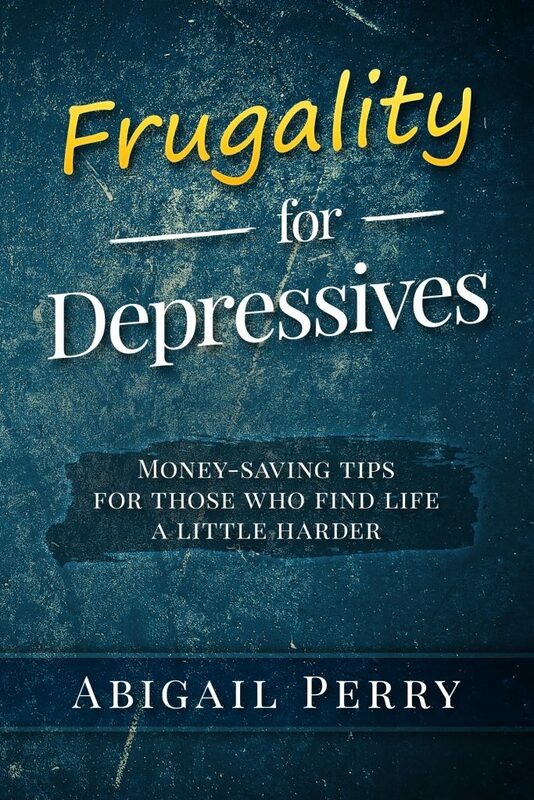 Abigail Perry, a friend of mine who blogs at I Pick Up Pennies has written a terrific new e-book called Frugality for Depressives that answers that very question. She’s fought her own battles with depression and chronic fatigue and has figured out how to live a frugal lifestyle in spite of those obstacles. In Frugality For Depressives, Perry talks candidly about life with depression and chronic illness. She recognizes that frugality is all about making small changes in your life, and that depressives find change to be challenging. Perry then offers dozens of inspiring ideas to help those battling depression learn how to save money. And she does it by encouraging readers to give themselves some time and some grace. She advises readers to focus on what they can do, instead of what they think they should be able to do. “It turns out that building your life around reality – rather than the fantasy you’ve constructed – makes things a lot easier. Having realistic expectations means you don’t have to forgive yourself as often – and when you do, it’s less of a struggle,” Perry writes. 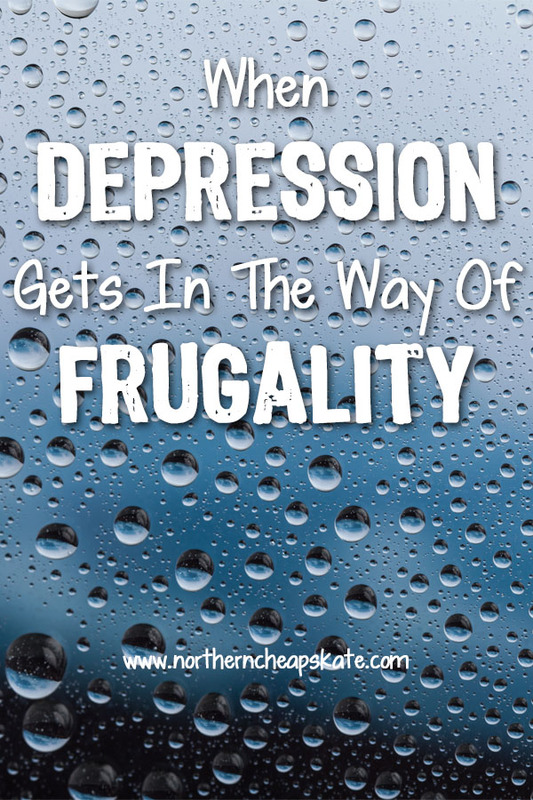 Frugality For Depressives covers things like budgeting, stocking up your pantry, and finding ways to save on everything from clothing to entertainment in a way that is attainable for those who are struggling with depression. She offers practical solutions for all kinds of obstacles that may get in the way of saving money. Perry covers how to power through periods of apathy and anxiety to reach your financial goals with compassion and optimism. It’s not a smug, “If I can do it, anyone can”-type of book. It’s practical advice and encouragement from someone who’s been there. If you’ve ever wanted to change your financial situation but have been held up by your battles with depression, anxiety, or chronic illness, Frugality For Depressives is a book that can help, and one I highly recommend. It’s a book I wish I had when I started my journey. My opinions on this book are 100% my own and were not influenced by the author. This post contains affiliate links which help support this blog at no additional cost to you. Please read my full disclosure policy for more information. I’d imagine that when you get clouded over with depression, that caring about frugality is simply too tough to do, so it can just go by the wayside. When you’re depressed it can be tough to care about ANYTHING. Sorry you’ve been down that road; I have, too, and some days still struggle against the darkness. Thanks for giving Abby’s book such a thoughtful review. Thank you so much for this review! I really hope it helps people who’ve had the same (or at least similar) struggles as we did/do. You’re very welcome. I hope that it helps others, too!